Proposed Treatment To Fix Genetic Diseases Raises Ethical Issues : Shots - Health News The treatment would allow doctors to replace the genetic glitches in one human egg with healthy DNA from a donor egg. Ethicists are concerned because any changes to eggs or sperm could be passed on for generations to come. The federal government is considering whether to allow scientists to take a controversial step: make changes in some of the genetic material in a woman's egg that would be passed down through generations. Mark Sauer of the Columbia University Medical Center, a member of one of two teams of U.S. scientists pursuing the research, calls the effort to prevent infants from getting devastating genetic diseases "noble." Sauer says the groups are hoping "to cure disease and to help women deliver healthy, normal children." But the research also raises a variety of concerns, including worries it could open the door to creating "designer babies." The Food and Drug Administration has scheduled an Oct. 22 hearing to consider the issues. Specifically, the research would create an egg with healthy mitochondrial DNA (mtDNA). 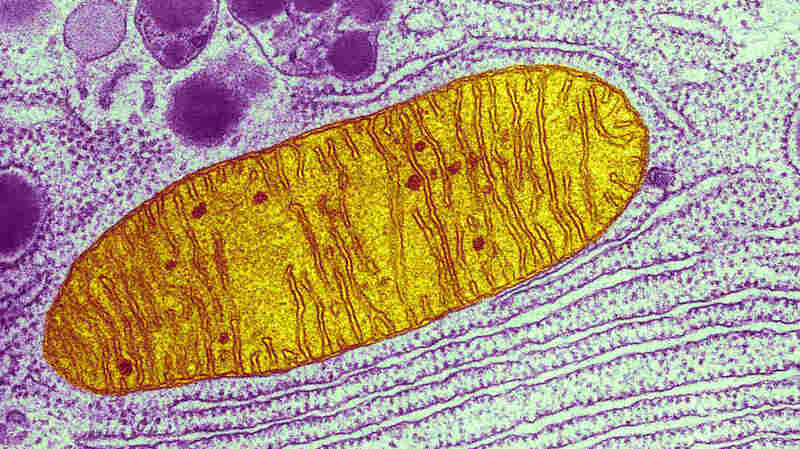 Unlike the DNA that most people are familiar with — the 23 pairs of human chromosomes that program most of our body processes — mtDNA is the bit of genetic material inside mitochondria, living structures inside a cell that provide its energy. Scientists estimate that 1 in every 200 women carries defects in her mtDNA. Between 1 in 2,000 and 1 in 4,000 babies may be born each year with syndromes caused by these genetic glitches; the syndromes range from mild to severe. In many cases, there is no treatment, and the affected child dies early in life. 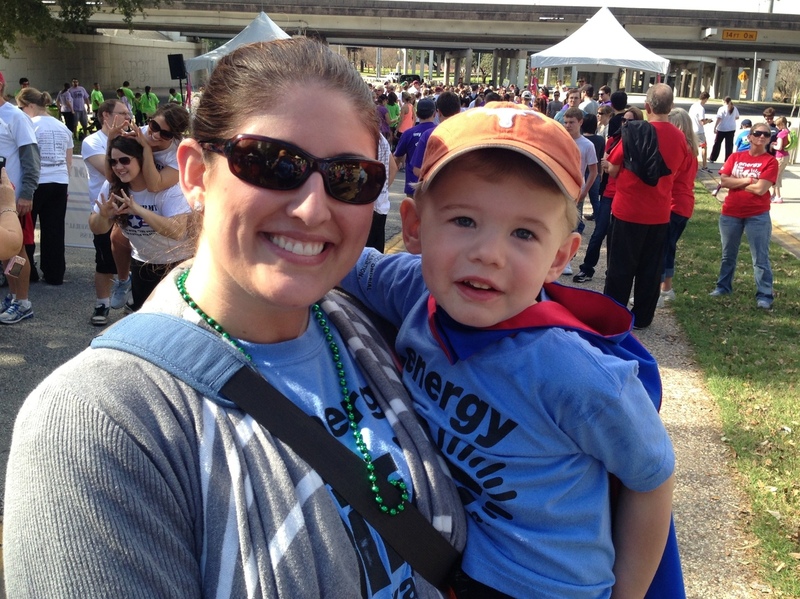 Lori Martin, 33, of Houston, found out her son, Will, was born with a genetic malady known as Leigh's syndrome, when he was about 2 years old. The progressive illness was linked to genetic problems in his mitochondria. Will Martin, with his mother, Lori. Will was 2 when Lori learned he was born with Leigh's syndrome, a progressive genetic condition. So far it's given him low muscle tone and some difficulty with speech. "The experience of being told that your son is basically going to die and you don't know when or how, but — it's obviously life-changing, and it completely wrecks your world," Martin says. Martin and her husband are trying to help Will live as long and as happy a life as they can. And they want more kids. But her doctor advised against it. "Since I am a carrier, I've been told it's recommended I do not have any more biological children using my eggs," Martin says. "It's a really devastating blow to be told not to have more children." The proposed research might help Martin and women like her. "We have developed a technique that would allow a woman to have a child that is not affected by this disease, and yet the child would be related to her genetically," says Dieter Egli of the New York Stem Cell Foundation. Here's how the procedure would work: Doctors take eggs from women like Martin, and pluck out all the genes except for the mtDNA. They then do the same thing to eggs that have been donated by women with healthy mtDNA. "The DNA of the woman who wants to have the child is transferred into that healthy egg," Egli says. "And now you have an egg with DNA of the woman who wants to have the child, and [it also contains] healthy mitochondrial DNA." We have developed a technique that would allow a woman to have a child that is not affected by this disease. and yet the child would be related to her genetically. The new egg could then be fertilized in the laboratory with the would-be father's sperm. And the resulting embryo could be transferred into the would-be mother's womb. A team of scientists in Oregon has already made human embryos this way and even succeeded in breeding healthy baby monkeys using the techniques. Now they and the New York research group want to take the next step: They want to try to make healthy human babies. "We're ready to move on to the next stage and to transplant the embryos we have created this way into a patient," says Shoukhrat Mitalipov of the Oregon Health & Science University in Portland. And it looks likely that the British government will allow medical researchers in that country to try a related technique to replace the faulty mtDNA in eggs from women like Martin. But this is all still very controversial. First of all, the baby would be born with genes from three different people: from the father, from the woman trying to have a healthy baby, and from the woman who donated the healthy egg. "There are issues of identity that the child may experience later in life," says Ronald Green, a bioethicist at Dartmouth College. " 'Who am I? Am I a human being like all other human beings with two parents? Am I some kind of new type of creature?' "
There are even bigger concerns, which start with whether the technique is safe for the resulting infant, and whether by trying to fix one problem, scientists may inadvertently introduce mistakes into the human genetic code. "If mistakes are made, they won't just be mistakes in the child that is born. But if that child [is a girl and] has children down the line, those children will inherit the mitochondria from that child, and we'll have introduced new genetic diseases into the human population," Green says. That's why this sort of thing has always been off-limits — even banned in many countries, according to Marcy Darnovsky of the Center for Genetics and Society. Pursuing such techniques, Darnovsky says, "really would cross this bright line that's been established and has been observed by scientists around the world. And that bright line says: 'We're not going to make genetic changes that are inheritable — that are passed down from one generation to the next.' "
And there's another big reason for that bright line, beyond fears of introducing errors into the gene pool. The big concern is that altering mtDNA eventually could lead to someone trying to make designer babies. "The problem is that once we start saying we're going to allow inheritable genetic changes to make healthier children, then the next step is, we're going to allow these kinds of genetic engineering experiments to make children who are more intelligent or more athletic or have perfect pitch," Darnovsky says. Now, the scientists who want to do this say they're nowhere near being able to do anything like that. And all their research so far indicates the procedure they propose is safe. "Abuses in medicine can occur, and they do," says Sauer. "But that's not what this is about." For her part, Martin hopes the research keeps going. It may be too late for her, but it may help other women like her, such as her younger sister. "Any woman would love to be able to create a baby of [her] own," Martin says. "Having that kind of gift would be — it's a priceless gift to us. So I hope that that would be an option for our family."